You have the right to protect yourself from providing evidence that may incriminate you. Taken together, these constitutional protections give you the right to refuse to perform field sobriety tests and to decline requests to provide breath, blood, and urine samples while in custody for suspicion of driving under the influence. A few restrictions on exercising your right to refuse chemical alcohol and drug testing exist under Ohio law, but you can always raise legal challenges to how such assessments were performed and analyzed with the help of an Ohio sobriety test attorney. No Ohio law enforcement official can compel a person stopped for suspicion of operating a vehicle while intoxicated (OVI) to do field sobriety tests. A police officer will always ask if he or she can track your eye movements, watch you walk a straight line, and judge your performance on a one-leg stand test. You can always say no. Also know that Ohio courts do not recognize the validity of alcohol breath tests that were performed by the small portable machines on the side of the road or at DUI checkpoints. Few police officers in the state even carry handheld breath-testing devices. If, however, an officer does ask you to blow into a device, you should decline in most cases. A field Breathalyzer reading can be used as grounds for arrest even if it cannot be submitted as evidence at trial. Declining requests to perform sobriety tests will not prevent an arrest or charge for OVI. 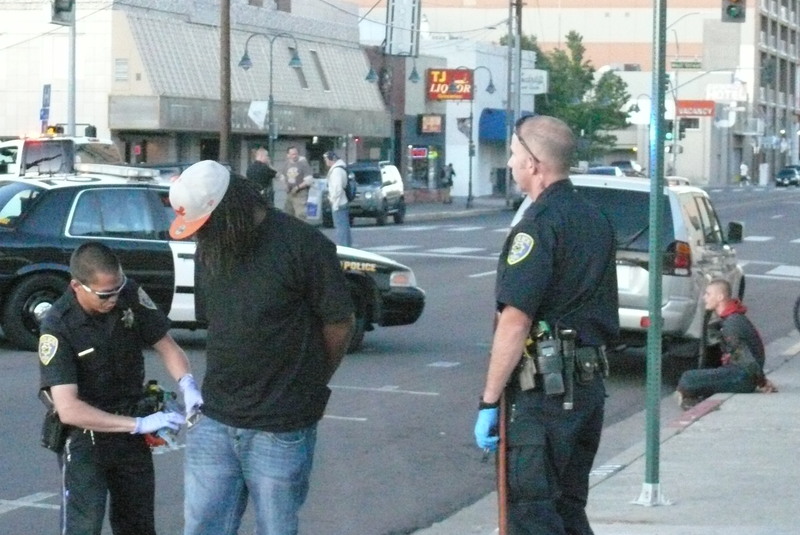 Law enforcement officials consider many factors when deciding to take a suspected drunk or drugged driver into custody. The benefit of refusing to field testing comes from providing as little grounds for getting accused and convicted as possible. Police must formally request samples for laboratory testing, and all such tests must be conducted in state-certified facilities. An officer must also fully explain what can happen if you do not voluntary blow into a breath-testing device, have blood drawn, or fill a urine cup. The only times law enforcement officials can use force to collect laboratory test samples is when the OVI suspect has multiple DUI convictions or a history of convictions for refusing chemical testing. Be aware that police can secure a warrant to take blood and urine. Warrants can also be used to review a suspect’s medical records in a case where the person is believed to have been driving under the influence became injured or lost consciousness. Declining official requests to take part in chemical testing to substantiate an OVI charge is not considered an offense under Ohio law, but it will result in a license suspension and can escalate the penalties if you are found guilty of OVI. The suspension is called an administrative license suspension or ALS. Appealing an ALS quickly with representation from an Ohio OVI and license suspension attorney is essential to avoiding spending months without full driving privileges and without being able to keep or hold a job that requires a valid CDL. An ALS issued for refusing chemical alcohol and drug testing can become a court-ordered license suspension that lasts for a year or longer. Even though added penalties may apply, you can limit the information a prosecutor could use to secure a conviction by declining to submit to chemical tests. A Columbus, Ohio, DUI defense lawyer with The Maher Law Firm can answer any questions you have about your rights regarding sobriety tests. We may also be able to help you challenge how the field and chemical tests were conducted and analyzed in your OVI case. Schedule a free consultation online, or call us at (614) 205-2208.